For those not familiar with Raspberry Pi, the "$25 computer", this is a credit-card sized computer created by a charitable foundation called "Raspberry Pi Foundation" that was initially supposed to use Ubuntu by default. Because of "issues with newer Ubuntu releases", Raspberry Pi will ship with Debian, Fedora or ArchLinux. 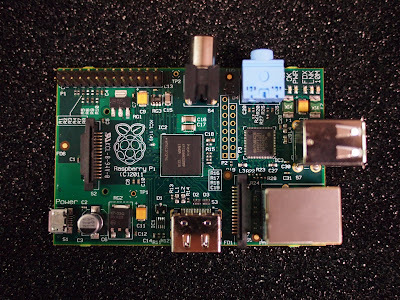 Raspberry Pi comes with an HDMI and an USB port so you just plug it into a TV or some other device that has an HDMI socket, connect a keyboard via the USB port and get a fully-configured system. While Model A doesn't come with an Ethernet controller (model B does), it can connect to a network by using a user supplied USB Ethernet or Wi-Fi adapter. Update: you can purchase Raspberry Pi from HERE.